One day I decided to take my cousins in a toy train travel. We boarded the train early in the morning at 7AM from my hometown, Kurseong. 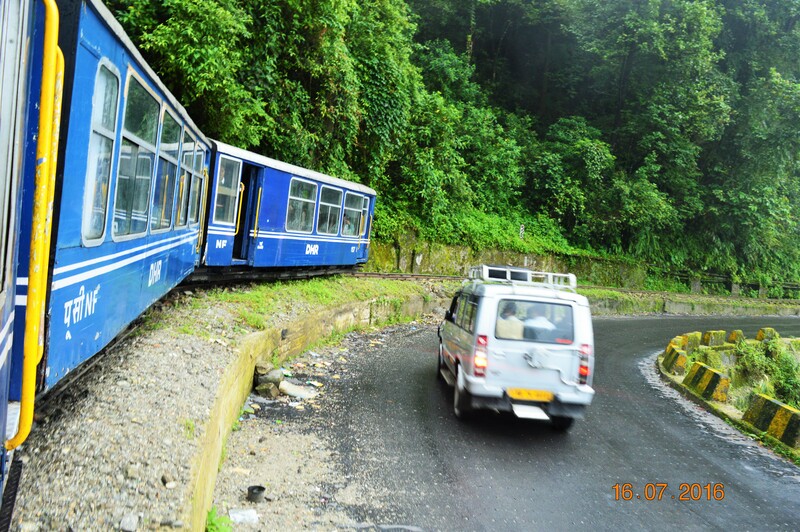 By car the travel time from Kurseong to Darjeeling to 1.5hr but in the toy train it took us almost 4hrs. I personally was very excited as even after being born and brought up there I had never experienced the joy ride!! Early in the morning there were smiling faces and small kids standing on the road waving hands shouting “byeeee”. 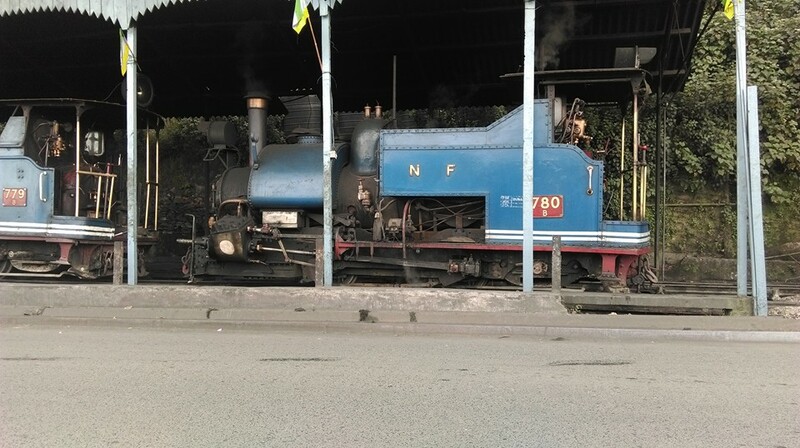 Darjeeling Himalayan Railway is the UNESCO World Heritage Site. It runs in diesel and steam engine. We had taken a 2nd Class diesel engine toy train ride from Kurseong to Darjeeling which costed us Rs60 per person. First Class is Rs680!! That was way too high so we settled with 2nd Class. Roundtrip fare for Toy Train Joyride from Darjeeling to Ghoom is Rs800 for Diesel Engine and Rs1300 for Steam Engine in First Class. The train makes a circle around Batasia Loop, a wonderful manicured garden. After 4hrs we reached Darjeeling and headed to the famous Chowrasta (Mall Road). It is an open public square where you can walk the whole circle and I bet you’ll love it. If you’re lucky and if the day is sunny you will be able to view the entire range of Kanchanjunga. The entire area is surrounded with trees; greenery is all over. This area is no entry to vehicle and there are benches all around; you can sit and chit chat, take some awesome pictures, breathe fresh air, enjoy the weather and feel happy 🙂 You will find locals selling tea and momos and aloodum. You can taste it if you want, it sure is good. 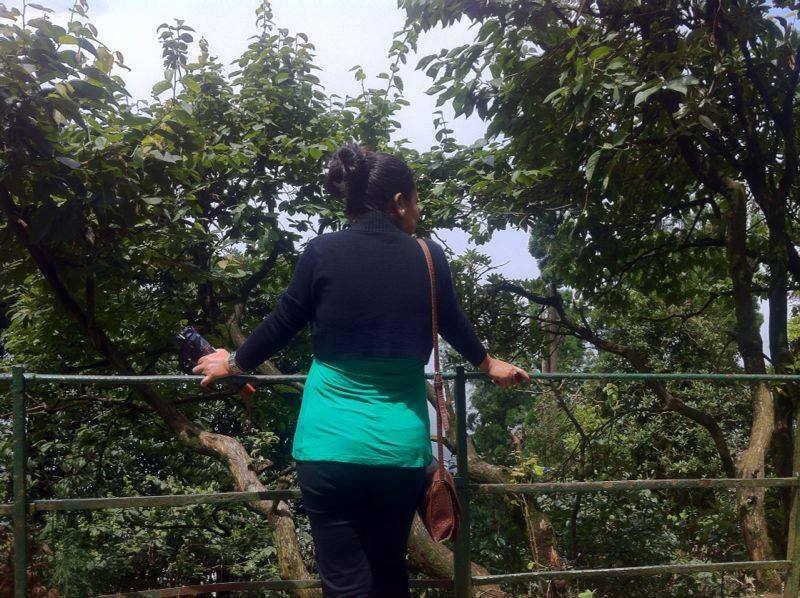 I had my college (Loreto College) in the Chowrata area and being able to visit my college was such a good feeling. You can easily spend hours in Chowrasta, just sitting in those benches, taking a walk, looking the people around!! The area has some café where you can sit and relax too. You will be able to see a lot of curio shops; you can buy souvenirs. You can also buy world famous Darjeeling teas from the shops around. Tourist will also be seen taking a horse ride. While taking a circle in Chowrasta you will come across a famous temple “Mahakal Mandir”. It is very well known and lots of devotees visit it on a daily basis. You will also come across St. Andrews, a very old church. A place I used to visit every Sunday when I was in college. If you want to hear about what is a must do while in Darjeeling from a local, please make sure that you go to Kenenters for breakfast. Remember Barfi’s Clock Tower scene?? That’s the place. Their coffee and sausages and poached eggs are simply finger licking!! They have a rooftop seating too. 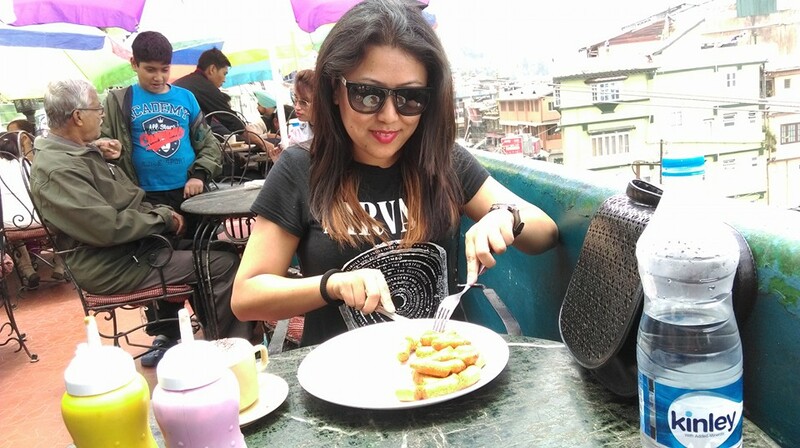 Make sure you take out time to enjoy the breakfast here while in Darjeeling. Other chilled out places would be Glenary’s on the way to Chowrasta. They are famous for their bakery. You can sip a cup of coffee and cake in the evening. If you want to try a Nepalese Thali you can go to Penang. They also server very yummy Pork momos. If you want to shop you will be amazed to see that you get a first copy of everything!! You name it and you’ll have it. I simply love shopping in Darjeeling. You have to be sure to bargain. If they say Rs1800, you start with Rs800, atleast you’ll get it for Rs1100 to max 1200. Darjeeling can be shopper’s paradise!! Please avoid rainy season as it rains a lot and the chances of landslide is high. If you are okay with winters, feel free to travel on Nov-Feb. Caution – it’s very COLD. I travel for Christmas and I hate it 🙁 It’s so freaking cold. Best months according to me is Apr-May and Aug-Oct.
Over the years because of the political unrest and under development, Darjeeling has lost its charm but in my eyes it’ll always remain the “Queen of Hills”. You get enough shared taxis as a public transport which would be far more cheaper than hiring one. That joy ride is something which will be remembered forever!! !